I am giving Dandelion Root by Nature's Answer to my ailing cat so far so good. 5 drops a day in her food. 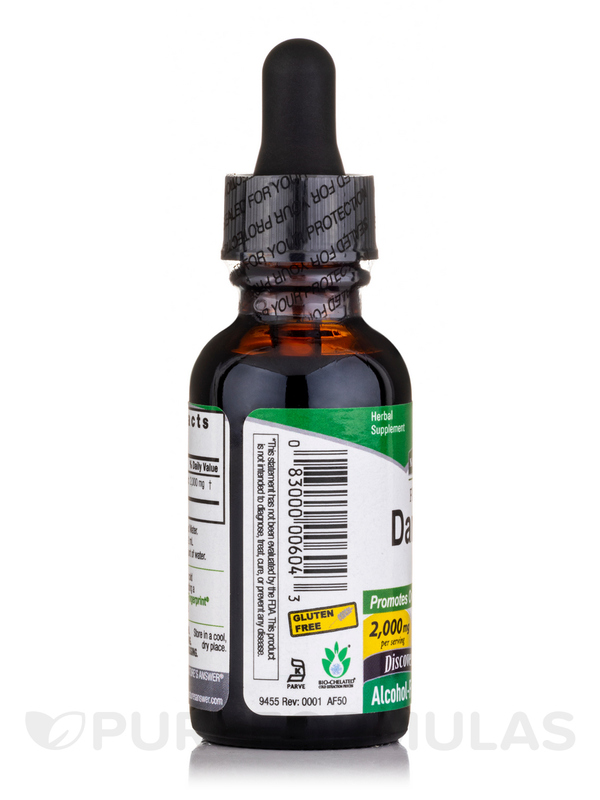 Help your digestive system function right with Dandelion Root (Alcohol-Free Extract) - 1 fl. oz (30 ml) from Nature's Answer®. 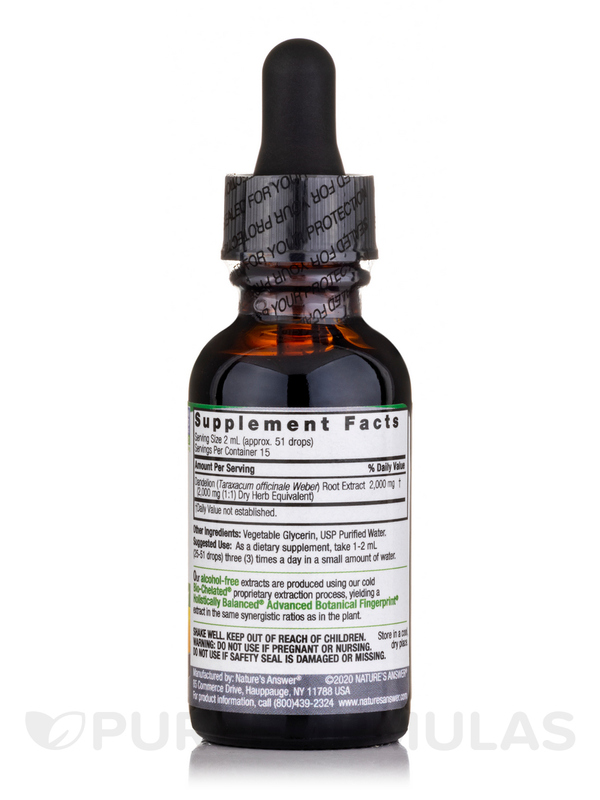 This alcohol-free fluid extract of Taraxacum officinale promotes healthy digestive functions that eventually support overall fitness and well being. This herbal supplement is a powerhouse of vitamins and minerals‚ and has been traditionally used to improve conditions related to skin‚ blood count‚ bone health‚ and frame of mind. Potentially a mild laxative‚ it may enhance appetite‚ balance beneficial bacteria in intestine and promote digestion. It is known to have diuretic properties‚ flushing out toxins and excess water from kidneys and liver. The rich antioxidant and phytonutrient content in this holistically balanced extract from Nature's Answer® may benefit with its anti-aging properties. Dandelion could also help in regulating blood sugar levels and certain circulatory conditions. It has been reported to fight inflammation all through the body and relieve allied pain and swelling. 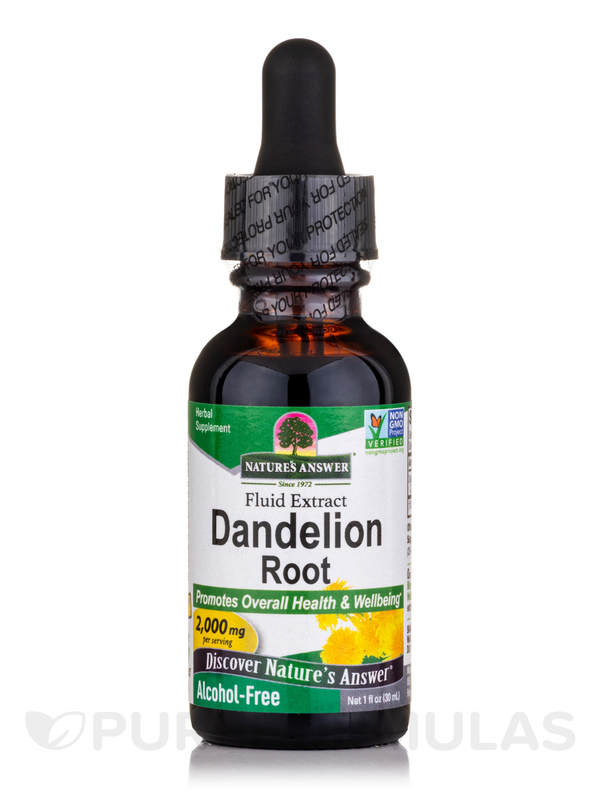 Open up to the goodness of Dandelion Root (Alcohol-Free Extract) - 1 fl. oz (30 ml) from Nature's Answer® and discover a healthier living experience.